This is probably the 2nd time that Tang said this statement. He loves calling Fangsi with the name 胖子 or pang zi which is fatty in Chinese which is a play on her name since both sound alike. I just find it so cute! 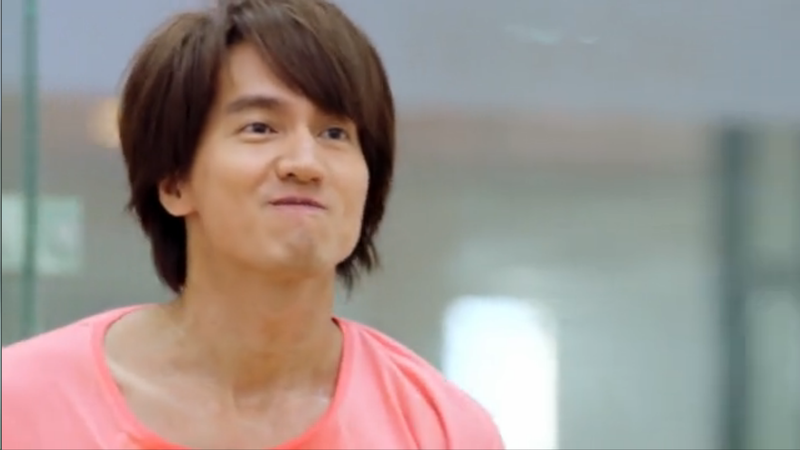 Haoran invites Tang to a racquetball match in order to tell him about the reason for Fangsi’s sudden resignation. Haoran tells him that he probably hasn’t moved on from the past because he still cares about Fangsi. Tang denies it and says that he has already forgotten about the past. 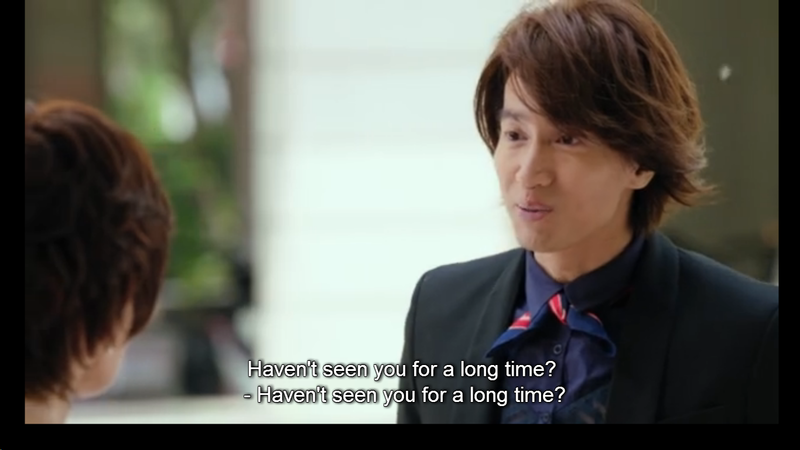 Then Haoran tells him that forgetting doesn’t necessarily mean that the person has stopped loving someone already. 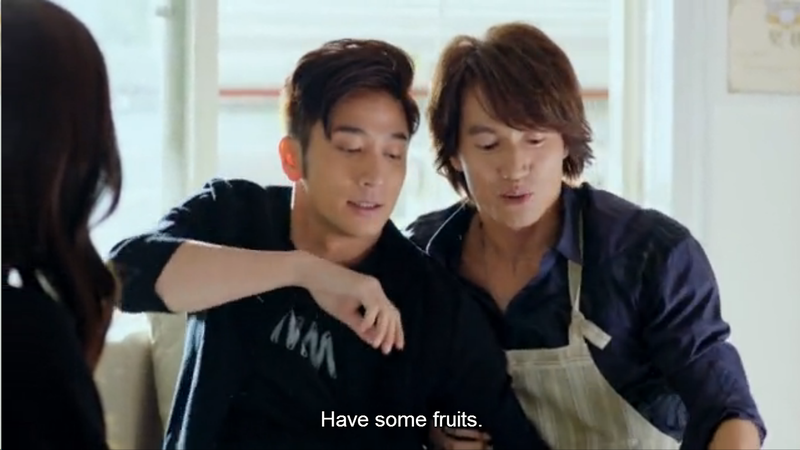 Bromance moments are quite rare in this drama so the following scenes with just Haoran and Tang made me excited! 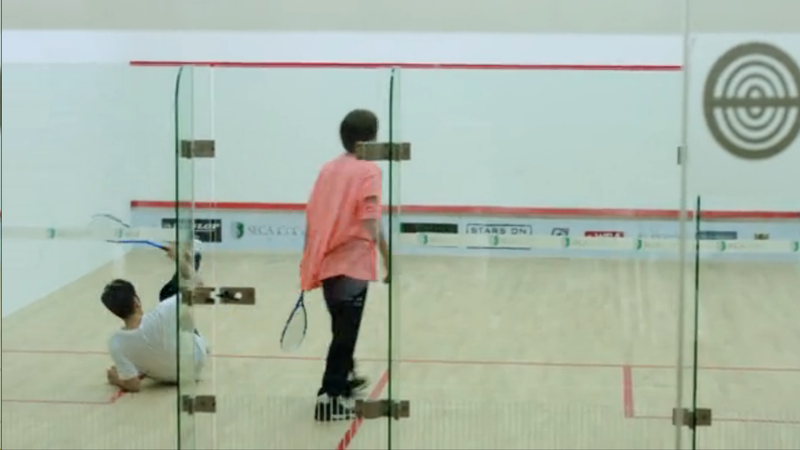 What happens when an immature person like Tang plays racquetball with his self-proclaimed #1 enemy? Lots of dirty playing, of course! 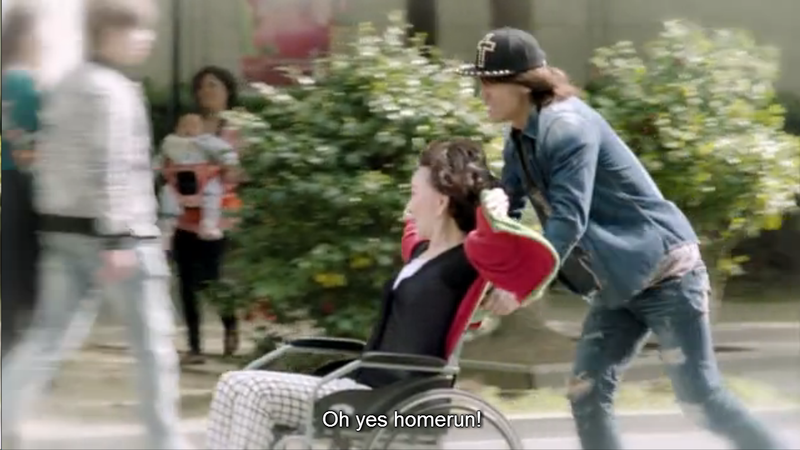 He was casually hitting Haoran in the head and in the leg just because. 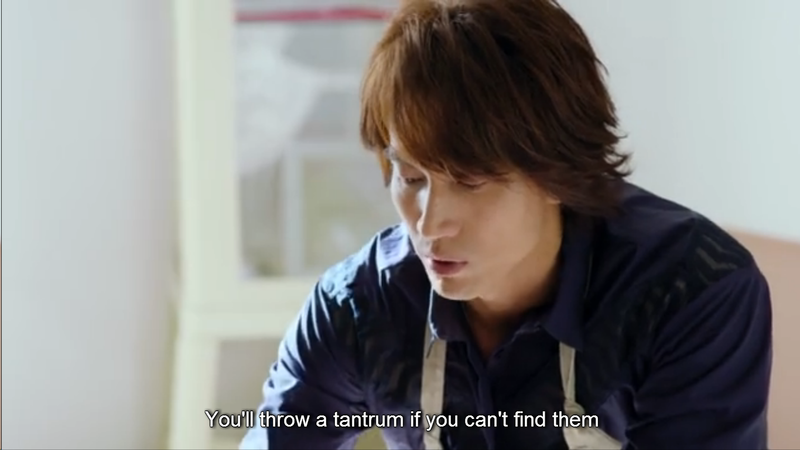 I could imagine the pain that Haoran has been experiencing but these scenes just really made me LOL! 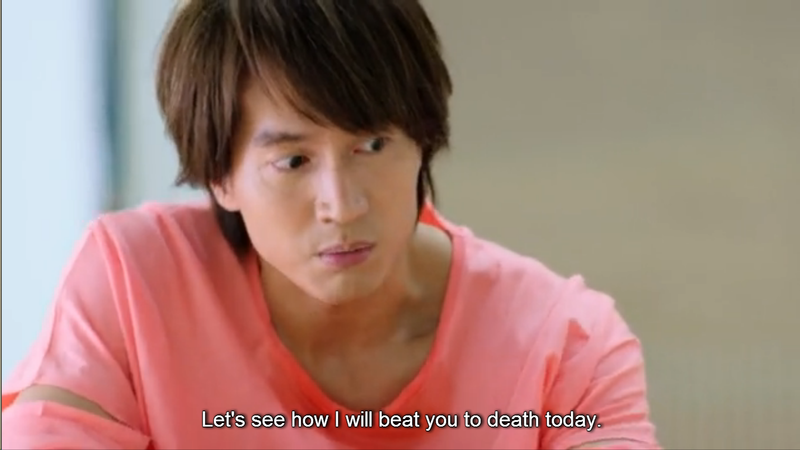 Tang wasn’t happy to hear about Haoran knowing everything about Fangsi’s situation. If I were him, I wouldn’t be so happy because I spent time, effort, and embarrassment to rummage through garbage cans just to find out what happened by myself?!! HAHA. Tang calls Weya for a meeting and he ended up daydreaming about Fangsi barging into the meeting and criticizing Weya’s work. I just love his daydreaming scenes haha! 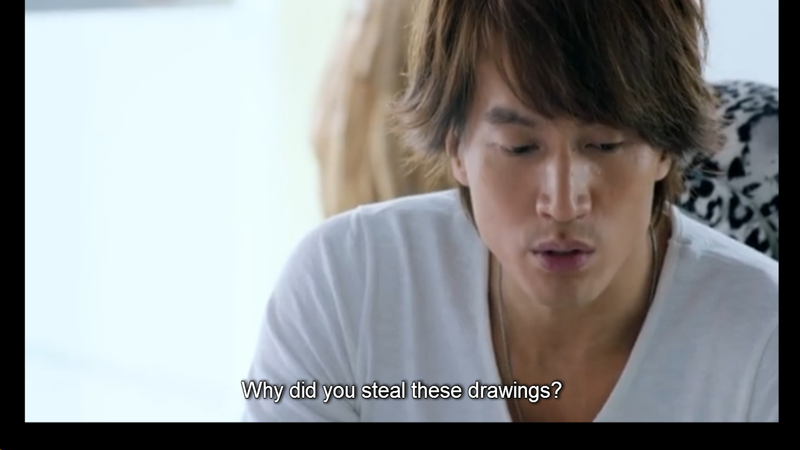 Benjamin asks Haoran if he’s now with Fangsi since he’s willing to do anything just to help her. Of course he said that life’s not that easy and we can’t exactly get all the things that we want. 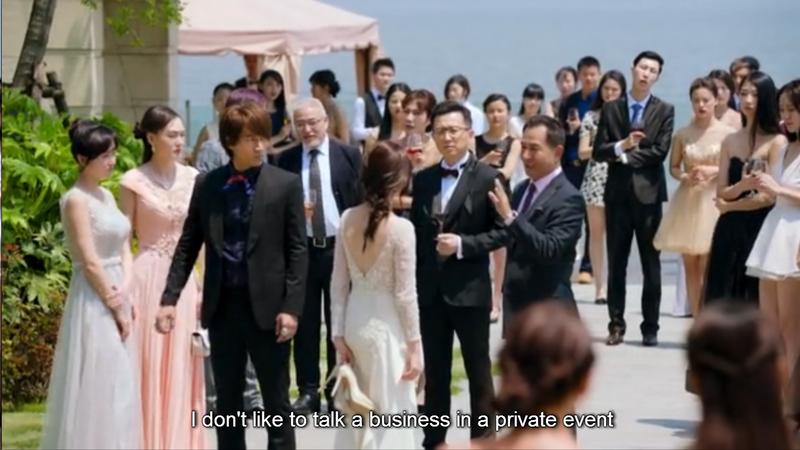 Haoran asks Fangsi to go to a party hosted by Mu Liang Wa, a big-time business magnate, so that she could bounce back from her problems. The problem is, Mr. Mu doesn’t want to talk about business-related matters in the party so he rejected Haoran’s offer to meet him. Solution: crash the party! Fangsi had to climb over the wall of Mr. Mu’s house and the guards chased her down but she ended up accidentally tripping and hit Wei Wei, Mr. Mu’s beloved daughter. It caused a commotion so Mr. Mu ended up recognizing who she was. 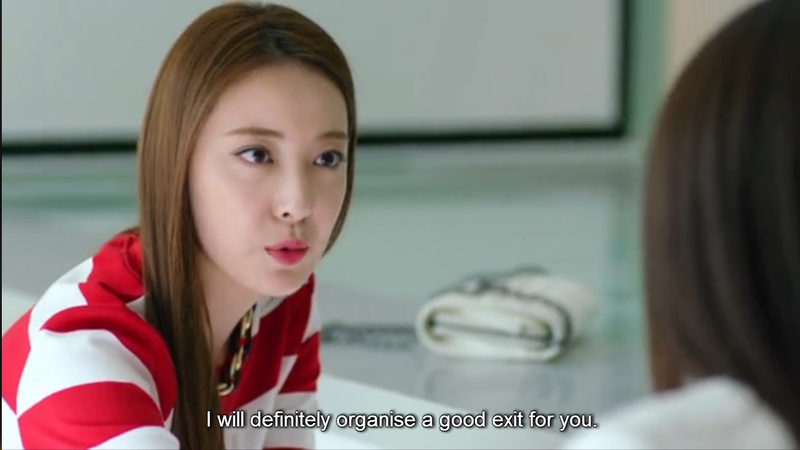 Of course our girl’s not going to give up without a fight even if Mr. Mu wasn’t interested to meet her. She just asked for one minute and she used it up to fix Wei Wei’s dress to compensate for crashing the party and hitting her. Take that, Weya! Tang saw the two of them being so happy and of course he wasn’t so happy about it. 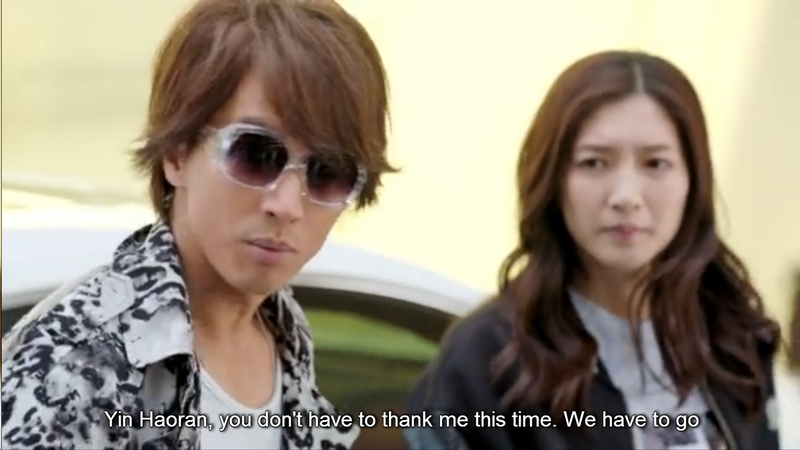 What is up with him and Haoran being involved with the same girls?! Jiaxin and Xiao Nai were concerned about Fangsi’s abandoned books in the office so they asked Tang if they should just bring it to her. He told them that they should just throw the books instead which they did. However, Tang ended up picking them up and decided to bring them himself to her. Tang fishes for more information regarding the design-stealing fiasco with Weya and Fangsi by asking Xiangnan. Of course Xiangnan had to act innocently though Tang knew that she would be the right person to ask since she was the one who brought Weya to the company after all. Back to the present time, they meet again! Never thought that they would have such a good relationship despite Tang and Fangsi’s break-up. Momma invites Tang to go up since Fangsi’s not home anyway… Well, it was probably too soon to say because Fangsi and Haoran just arrived as well! These two acting so close that it just put Haoran and Fangsi in such an awkward situation but more to come in the next episode haha! 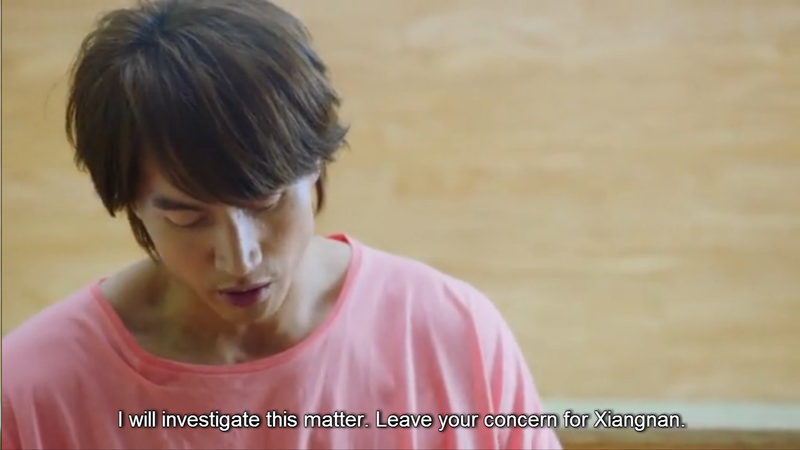 Xiangnan is already bothered by the fact that Tang has knowledge about what Weya did to Fangsi. Being the selfish or self-centered person that she is, her only goal now is to protect herself. 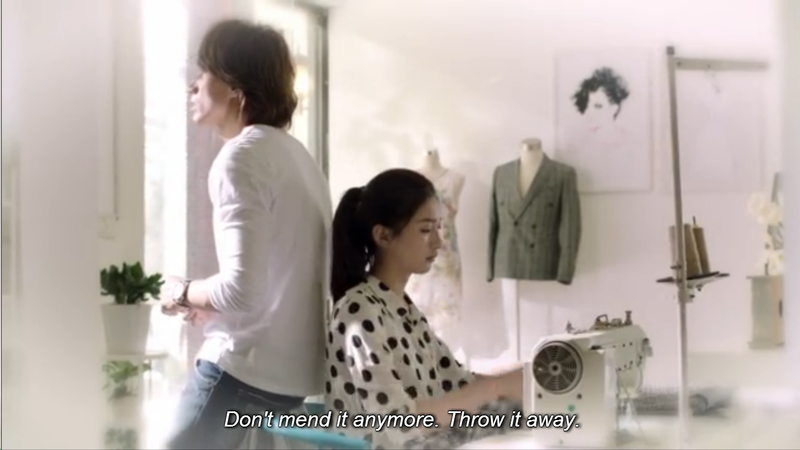 Fangsi was telling Haoran that her mom loves buying useless things as she goes through her mom’s shopping bags. 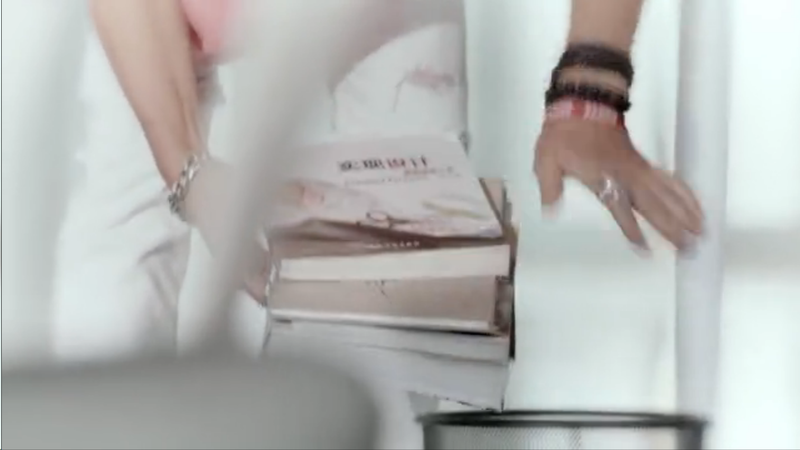 She ends up finding her design books and her mom told her that it was Tang who placed those books inside. Tang told her that she’d probably throw a tantrum if she doesn’t find them so he decided to return them. 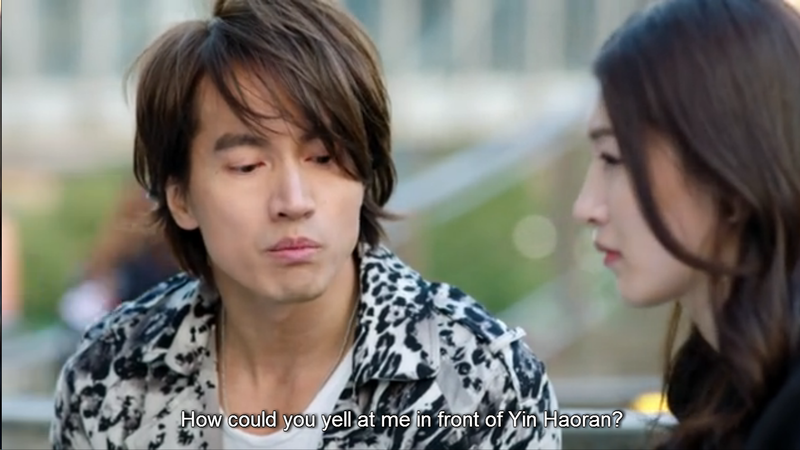 Momma hears Haoran and Fangsi mentioning Li Tang’s name so she asked them why they’re about him when he’s just here. Cutie! Haoran was going to talk about his girlfriend but Tang just had to interrupt and forced himself to sit beside him. They were so funny! Tang just continues to praise Fangsi’s momma’s cooking and he fondly calls her young pretty lady while she calls him Xiao Li Tang which indicates how they have always had a good relationship. 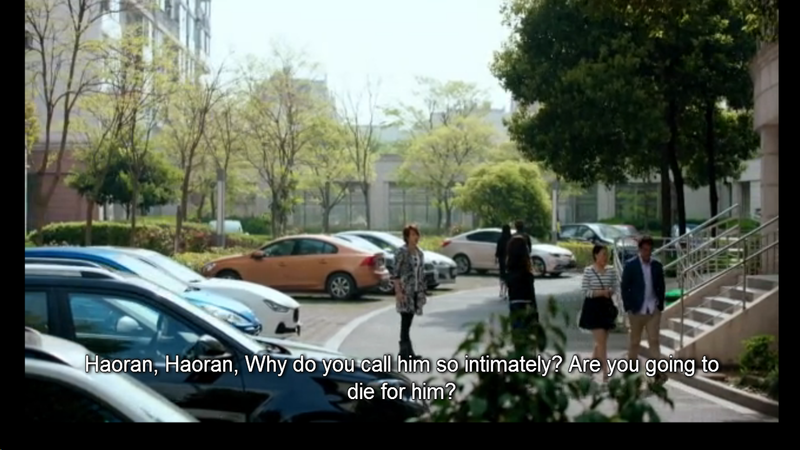 Fangsi’s momma intentionally says these things in order to call out on Haoran having a girlfriend when he’s always with Fangsi. 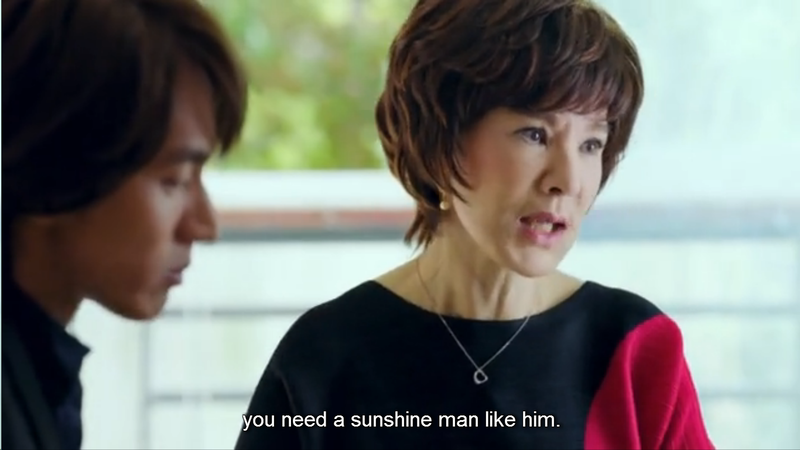 Only Fangsi’s momma has been blinded by love for Tang that she doesn’t think he’s immature haha! You go tell your daughter, momma! I just want to share that Tang in real life aka Jerry is also called a sunshine man. On the set of MBEBF, he has been called as little sun (his Chinese name is Yan Cheng Xu so the Xu is his name is 旭 which means rising sun) who greets everyone with a smile and treats them food everyday. Tang’s definitely enjoying Fangsi’s momma treatment towards Haoran because she obviously favors Tang more than Haoran. 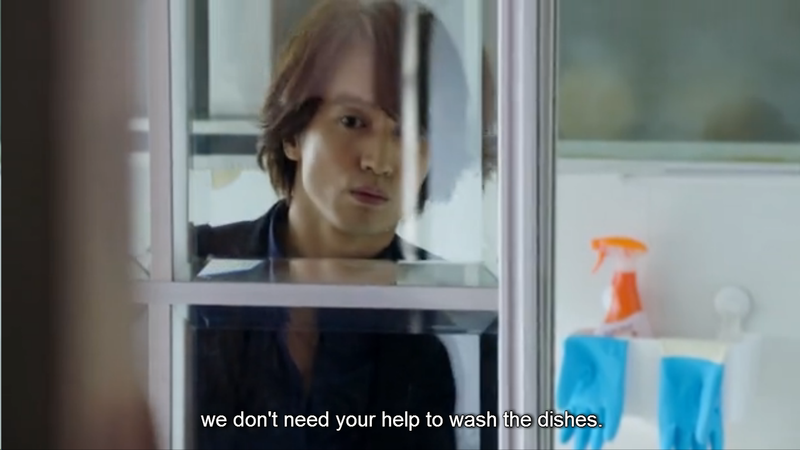 Momma forces Haoran to leave since his girlfriend keeps calling him so they don’t need him to help them with the dishes anymore. Tang thought that he wouldn’t be pushed away but Fangsi forced him to leave as well haha! Momma was relieved to know that Fangsi just treats Haoran as her friend and a client. Then she asks her, what about Li Tang? Tang sets some boundaries as he confronts Haoran. Tang called Fangsi but she hung up on him because she was in a rush to rescue Haoran. He ended up accompanying her to see Haoran. Evil step-sisters devise a plan to get away from this. Weya promised to never betray Xiangnan so she should help her because she’s the only one that she can depend on. Fangsi and Tang to the rescue! Since we already know how tough our heroine is, she wasn’t scared to threaten this gang of dangerous people. 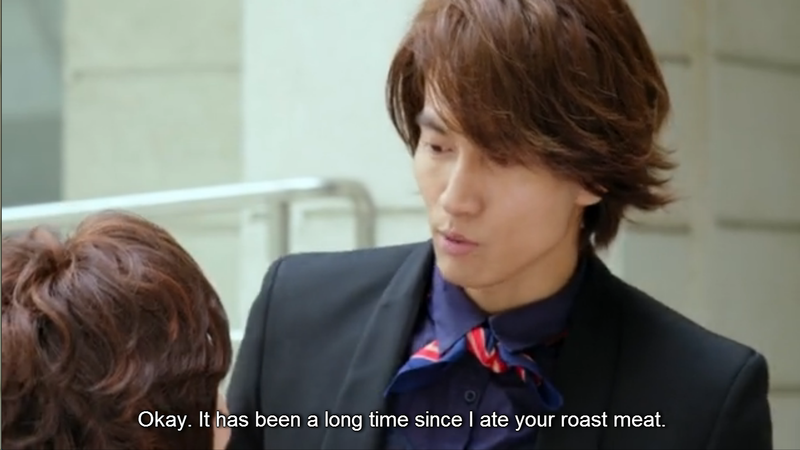 He pretends to be against Haoran as well so that he could easily trick the bad guys. So the bad guys told him to hit Haoran but his tactic was definitely effective because the police was able to come on time! Tang even said, he hated that the police came too early because he still wanted to hit Haoran. Haha! They all go home but Fangsi and Haoran were in Benjamin’s car while Tang was alone in his car. If he knew what would happen, he told himself that he would’ve brought a big car because he started daydreaming about Fangsi and Haoran being so sweet and intimate with each other. LOL. Tang fell in a manhole! What is up with this drama?!! Intentionally throwing someone on a fountain and now we have someone accidentally falling into a manhole. HAHAHA! Tang told Fangsi that he wants water because Coke’s unhealthy. 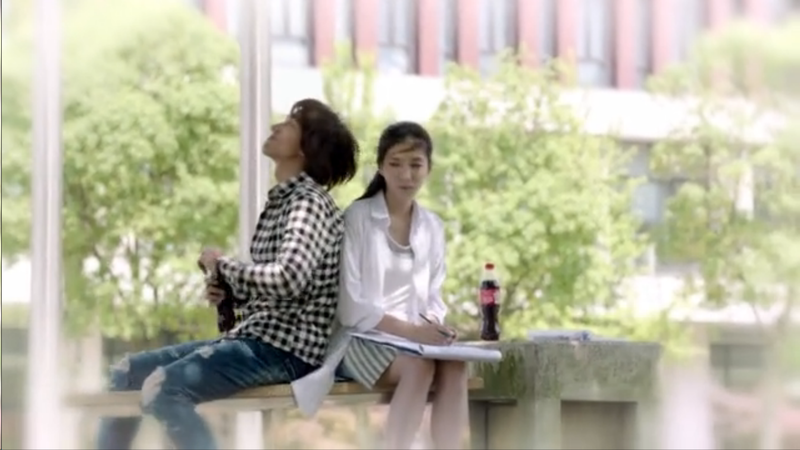 Flashback scene: Tang and Fangsi in college and Tang would always drink Coke even if Fangsi would tell him that he should drink more water instead. Looks like he doesn’t have the Cola craze anymore so Fangsi drank it for him instead. Tang tells Fangsi that she’s still not allowed to resign because she signed a 5-year contract with Tang Huang. He even did everything just to find out the truth. 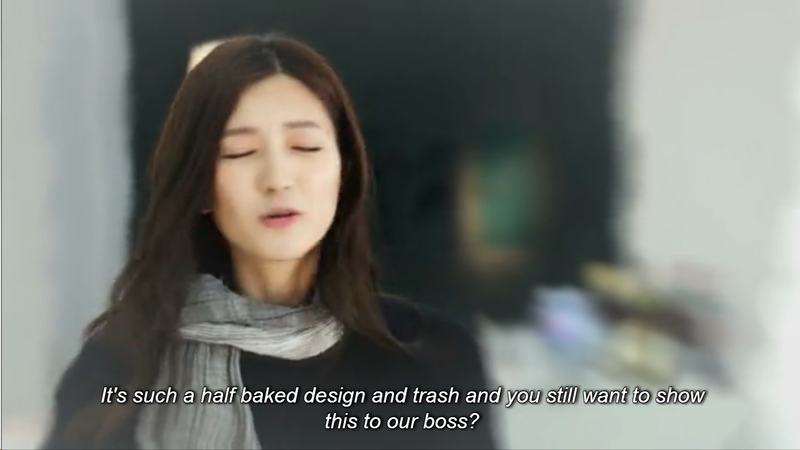 Of course our male lead couldn’t move on from what Fangsi did when she told Tang that she didn’t want her designs to be used for his company to make money in front of Haoran. 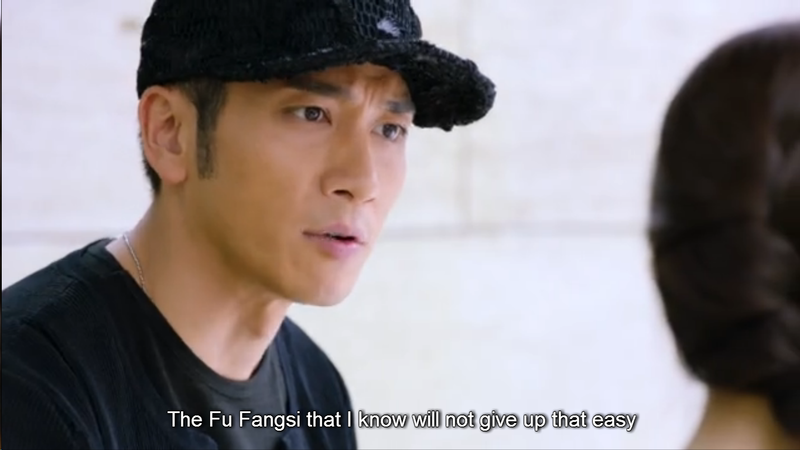 Fangsi forces Tang to go to the hospital to have his injury/wounds checked. Of course this is just Li Tang being Li Tang so he didn’t want to follow her. 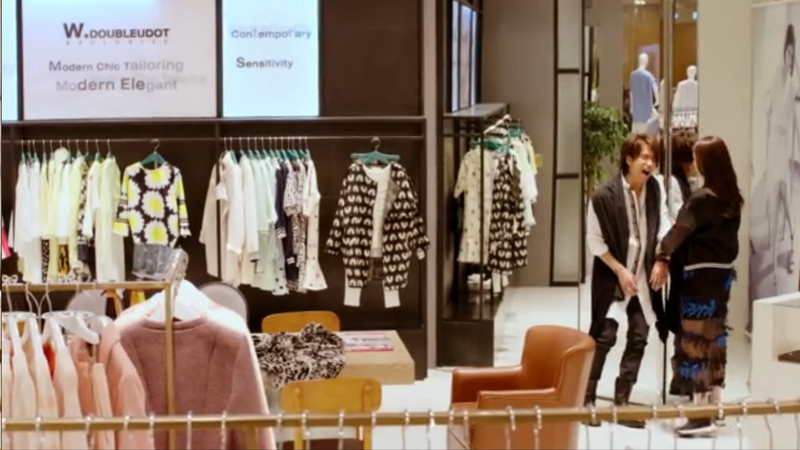 Fangsi accompanied Tang to get new clothes and Tang asked her to fix his torn clothes. So now they can go to the hospital, right? Xiangnan gets mad at Haoran for disappearing until she realized that he was hurt. 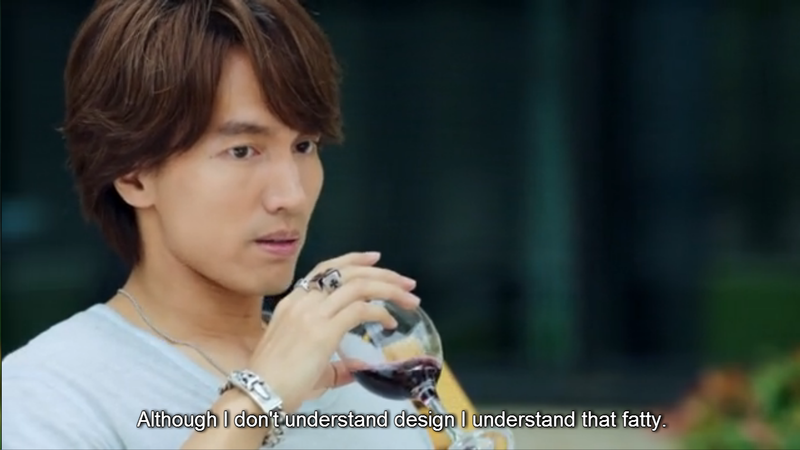 They fought about company/designer matters because Haoran felt that he was just being used her. Flashback scene to their past: scenes of the seemingly perfect love that they shared. Back to the present, Xiangnan wonders why they could never go back to the way it was before. This was definitely a set of tasty episodes because we were spoiled with some bromance + OTPs. Can’t help but want to get more servings of it! It has always made me wonder why Fangsi’s mom has never mentioned about Li Tang before but now we get a lot of Fangsi’s momma and Tang moments yaaay! 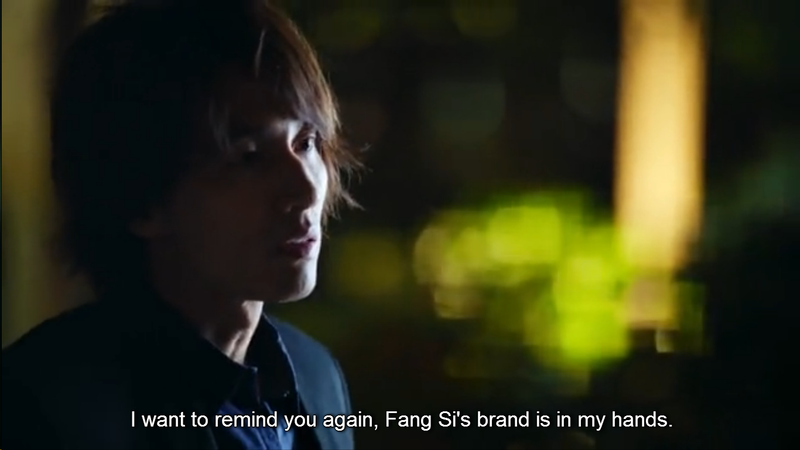 I felt so bad for Haoran when he was in Fangsi’s house because Fangsi’s mom obviously loves Tang. 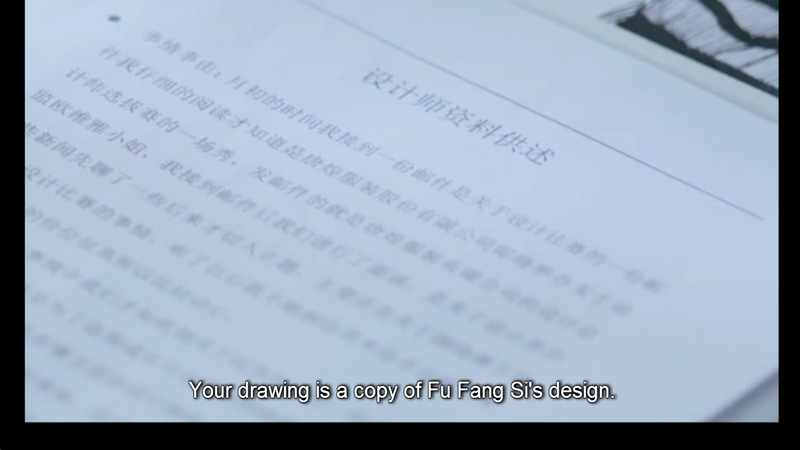 It was also so awkward for Fangsi *facepalm*. 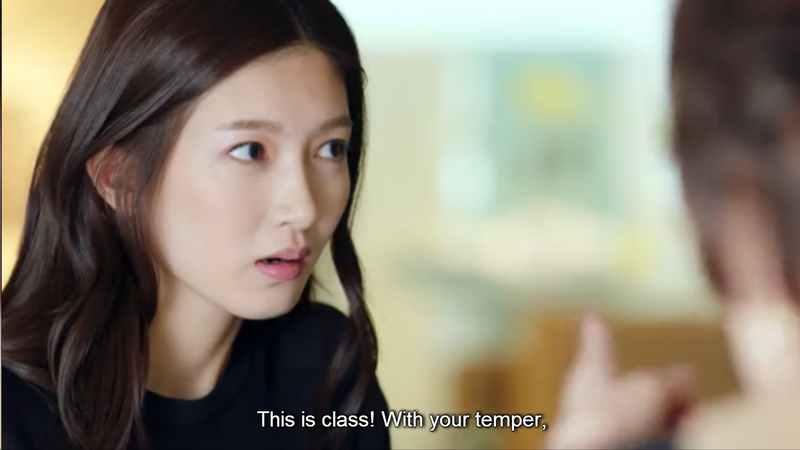 I love this drama for being so unconventional because it’s the female lead who usually saves here instead of the other way around. 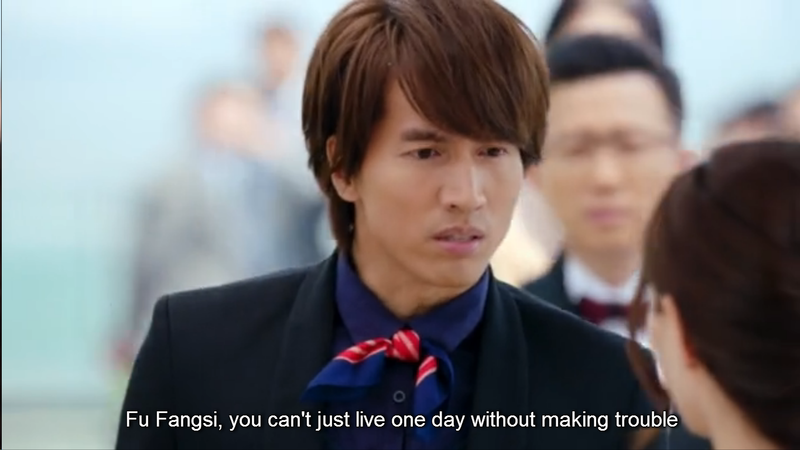 You go, Fangsi! Sometimes, the past cannot catch up to the present time. It’s better to start anew so that there would be no failure of expectations (especially for Haoran and Xiangnan). 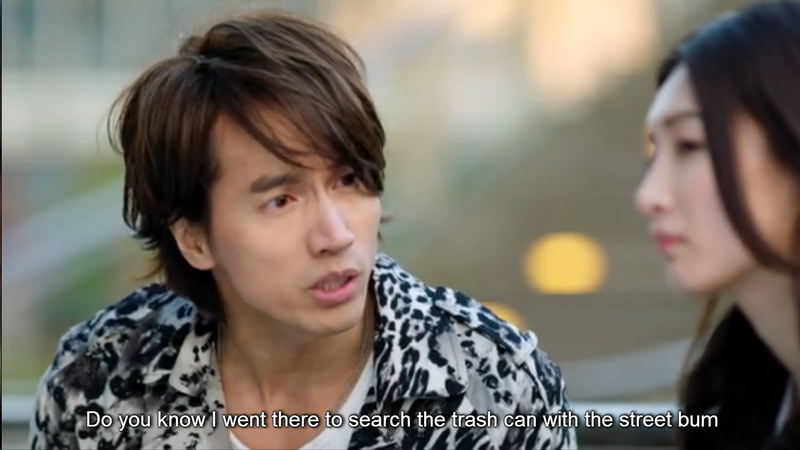 This entry was posted in > China, - Drama, Recap and tagged 2015 c-drama, Jerry Yan, Jerry Yan 2015 drama, Jerry Yan chinese drama, Maggie Jiang, My Best Ex-Boyfriend, My Best Ex-Boyfriend 2015 drama, My Best Ex-Boyfriend episode 17, My Best Ex-Boyfriend episode 18, Ron Ng, Viola Mi on August 28, 2015 by dramarian.